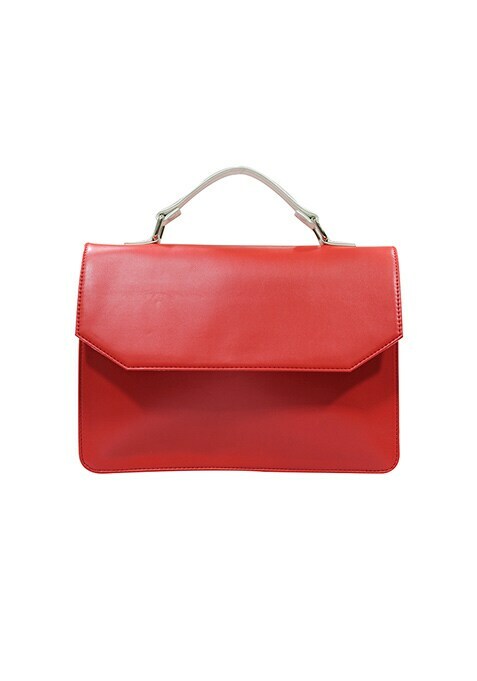 Be totally smart carrying this ultra chic red and white faux leather handheld featuring a colorblock style and a magnetic button flap closure. Perfect office time accessory. Work It - Looks rad cool with torn out boyfriend jeans and a printed blouse.